The Physics of Life Group at York captures Biological Physics and Biophysics, involving biophysics research and teaching which includes experimental and theoretical biophysics tools spanning multiple length and time scales, as well the use of physical science tools and techniques to address biophysics questions in the life sciences, physical methods of relevance to technology touching life (TTL) applications in biology and biomedicine, and approaches which use biophysics in the context of biological- derived material to explore new physics. The Physics of Life Group is an enthusiastic, growing biophysics team comprising multiple biophysics research groups spanning several research themes in the Physics Department at the University of York, and we interface closely with the University of York’s Biological Physical Sciences Institute (BPSI) and through a range of cross-departmental collaborations between physical and life scientists focused on a range of biophysics questions. The Biophysics Group was established in 2015 following a series of open biophysics discussion events, where it became clear there were significant emergent activities aligned either directly with addressing biological questions, or with applying biophysics to applications in the life sciences, including the use of biological or bio-inspired devices and materials. There really is a depth of expertise to tap into in the group here. The resulting Biophysics and Biological Physics seminar series has become a very popular networking vehicle running 4-6 times each term. The regular attendance of 20-30 people stimulates lively discussions, allows junior members to find their voice and provides focused project and grant pitching talks as well as talks from biophysics experts from other departments. The strength of depth of the Biophysics Group and its upward trajectory catalysed the formation of the Physics of Life Group, now a new, formalized major research super-group as of July 2018. 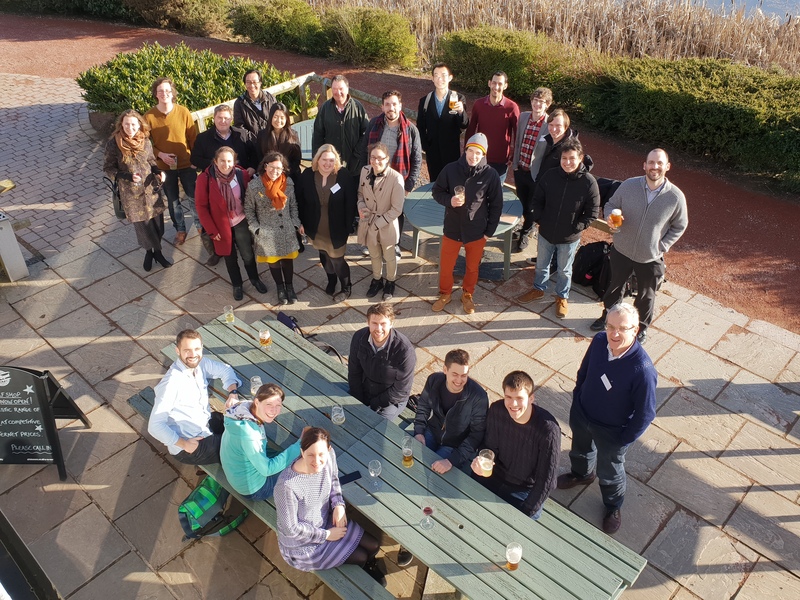 We actively encourage new biophysics interest in the Physics of Life Group, and are delighted to discuss possibilities of new recruitment into biological physics and biophysics. Just drop us an email and we will explore the ways in which we can help you develop your ideas. In particular, we are strongly supportive of hosting a range of external funded fellowships. 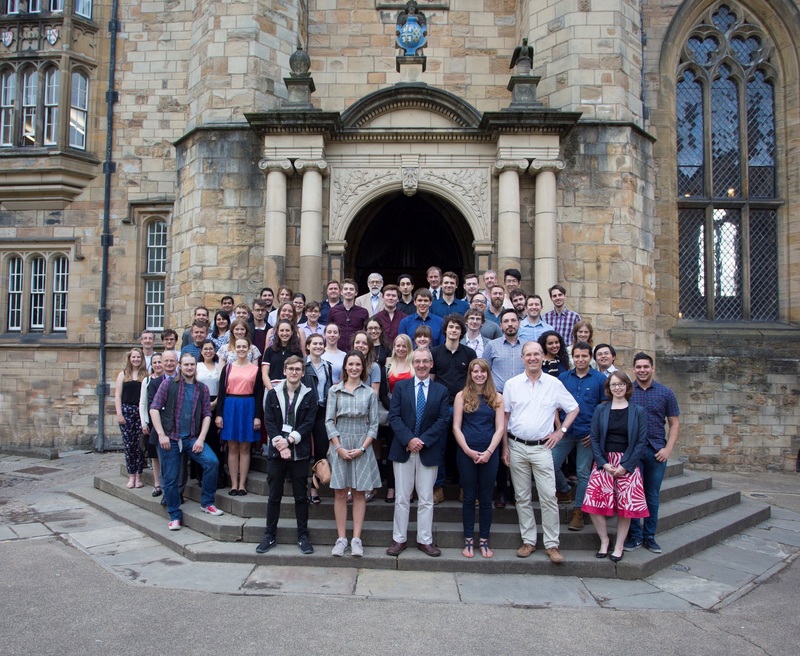 In addition, we would also consider helping to formulate joint fellowship appointments with our group and with other relevant departments in the University of York, in particular with the Department of Biology. The Physics of Life Group has an internationally recognised strength in depth spanning multiple areas of biophysics. We will work with you to help you develop a highly competitive application, offer structured, expert feedback as well as arranging expert mock interview panels where appropriate, and can even facilitate generating additional preliminary data in support of your application. We recommend early engagement with us to best help you to boost the competiveness of your application proposal. A fantastic week with inspirational peers! The ‘Physics of Life’ (PoL) is an EPSRC/BBSRC supported Grand Challenge research theme, first launched in 2012 by a NetworkPlus grant, with the overall aim: ‘to develop a unified framework for understanding biology that integrates the molecular and the system levels of thinking into a coherent, unified whole’. Two members of York's Physics of Life Group sit on the steering committee for the Physics of Life Network (PoLNET), determining the strategic direction of Physics of Life research in the UK.